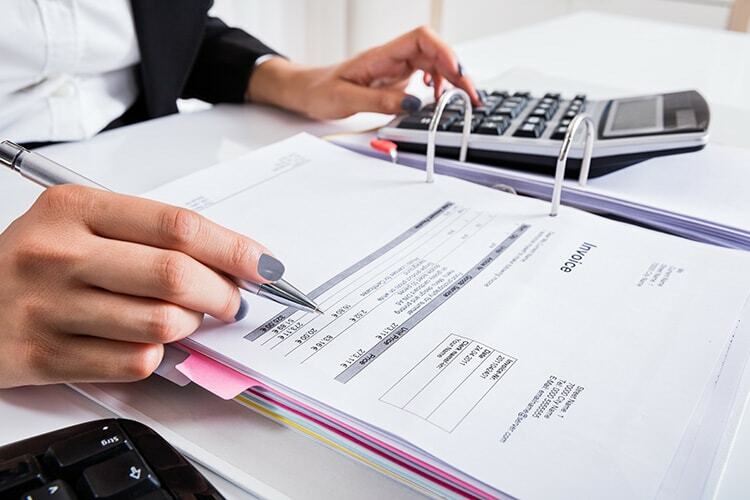 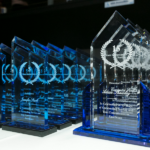 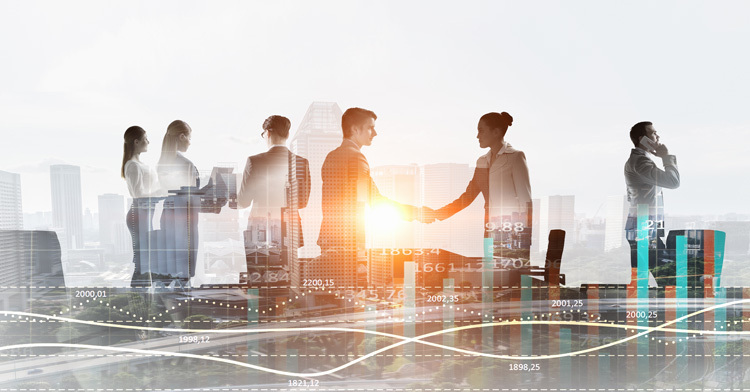 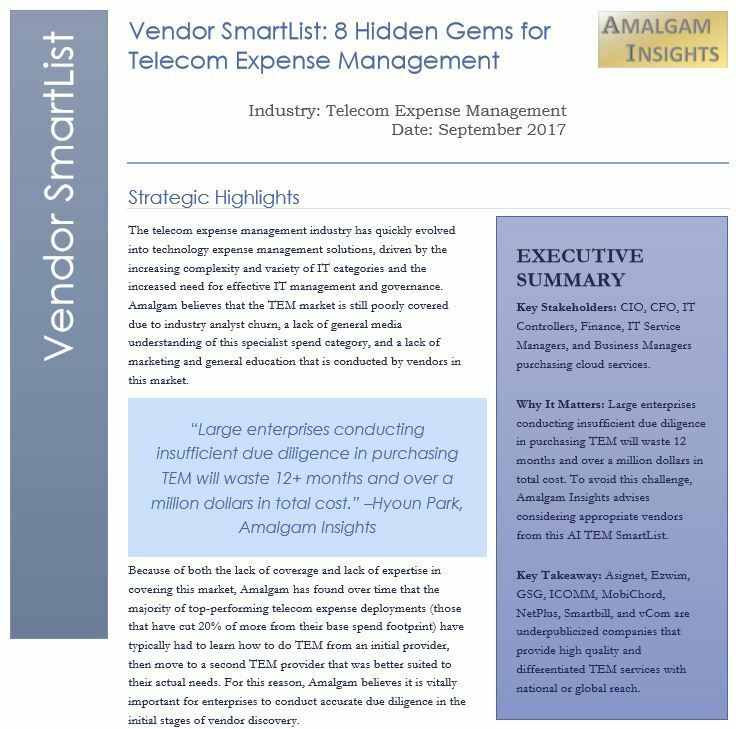 Amalgam Insights showcases 8 Hidden Gems in the Telecom Expense Management world that have excelled in supporting challenging enterprise environments: Asignet, Ezwim, GSG, ICOMM, MobiChord, Netplus, Smartbill, and vCom. 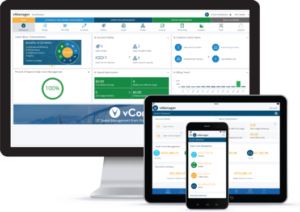 Amalgam notes that companies such as vCom were overlooked in the May 2017 Gartner Report: A Market Guide on Telecom Expense Management–ultimately missing capabilities of other leading enterprise-grade services that represent billions of dollars in technology spend. 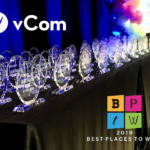 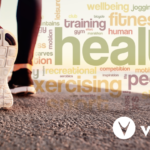 Park notes that hundreds of vendors on the market may have some technology expertise, but being able to scale, garner high customer satisfaction ratings with added expertise in spend outside of telecom, including cloud, IoT, unified communications and SaaS makes vCom a gem on this “SmartList”. 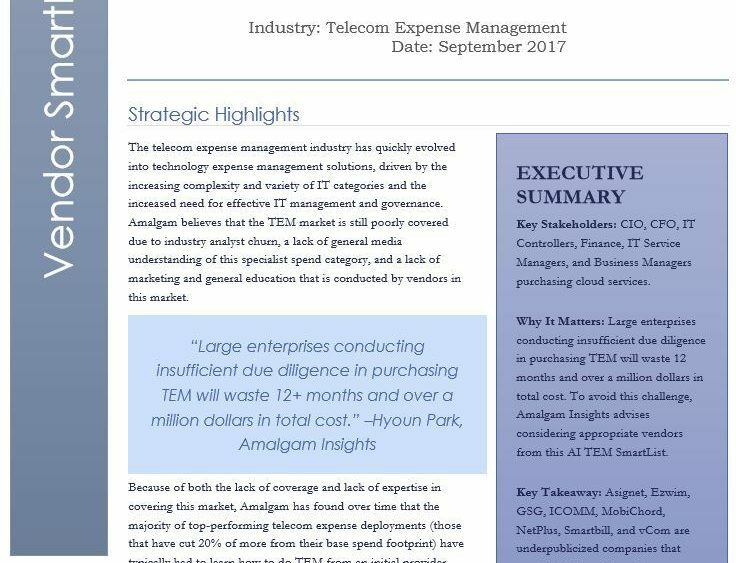 For the full report, visit: http://amalgaminsights.com/product/vendor-smartlist-8-hidden-gems-for-telecom-expense-management/.